To disable it, you need to go first to the Control Panel and type the word "sound" in the search box. From the list of search results, click on Change system sounds. The Sound window will open directly to the Sounds tab. 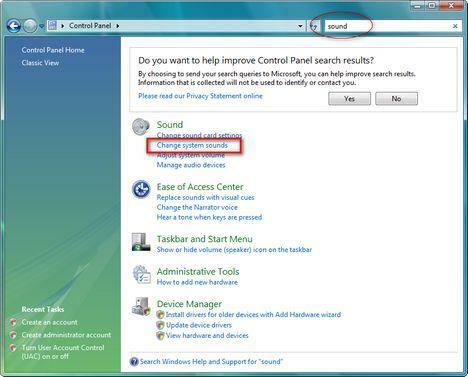 In the lower part of the window you will find the option called Play Windows Startup sound. Uncheck that box and the startup sound will be disabled. 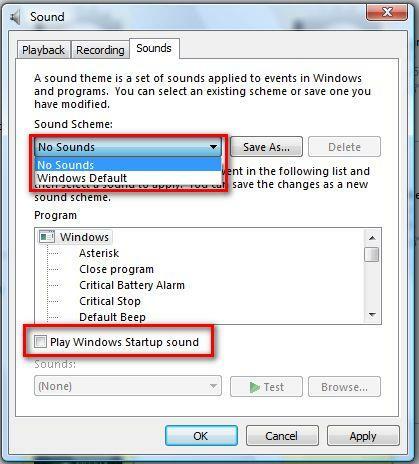 Additionally, you can choose to disable the whole Windows Vista default sound scheme. To do that, select No sounds from the Sound Scheme drop box. When you have finished making all the changes don't forget to click the OK button. I UNCHECKED THE START UP SOUNDS BAX..CLICKED OK..AND IT STILL DOES IT.